Many of us are frantically filling our carts at Amazon and checking our lists twice to make sure we have all of our gift list covered. We’ll muddle our way through the days until Christmas Eve, look up, and realize that like it or not, Christmas is here. Instead of letting it fly by, though, how can we make Christmas Eve its own special day? Unlike most holidays, Christmas Eve is a celebration of anticipation. You could say the same for New Year’s Eve, but while we all wake up to presents and cinnamon rolls on Christmas, not much happens on New Year’s Day. Besides the inevitable gym membership enrollment, that is. On Christmas Eve, we enjoy our final moments of preparing for Christmas Day. We’re wrapping presents, baking pies, and stuffing stockings before morning, so the day is full of urgency. For kids, it’s all about the countdown for presents. Maybe you already have your Christmas Eve planned. Maybe you’re going to just wing it and hope for the best. 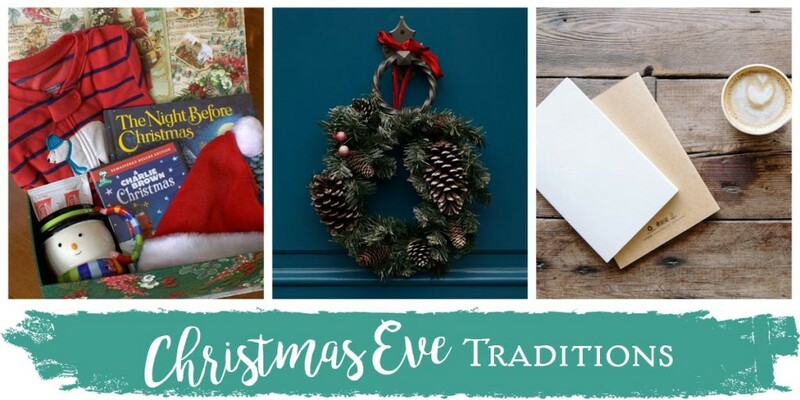 Either way, we’ve gathered some of our favorite traditions to implement into your Christmas Eve celebration. These tips are meant to encourage your planning and help you have the best celebration ever. 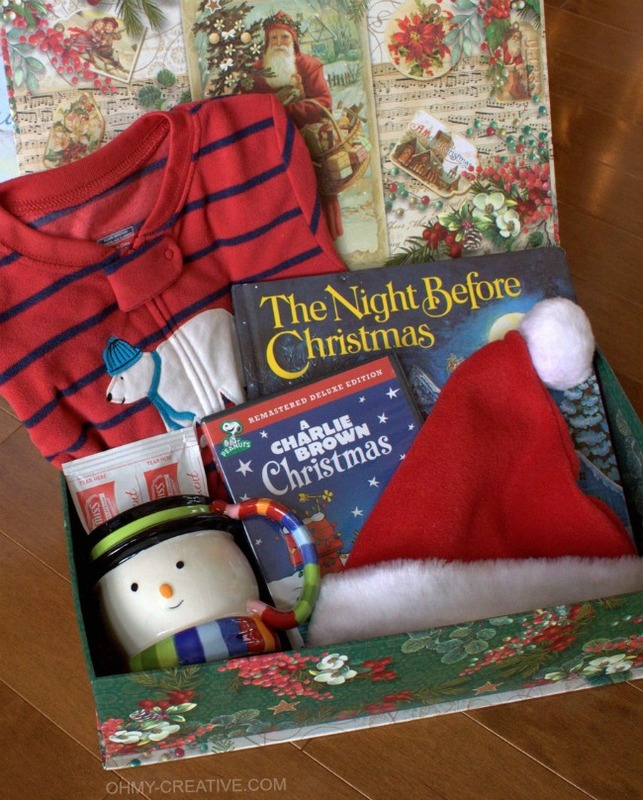 One exciting way to get Christmas started is with the Christmas Eve Box. Now, there really aren’t any rules or parameters, but the basic gist is this: a box that includes all of the essential items to have a celebratory Christmas Eve. New pajamas, popcorn, candy, a new movie, hot chocolate, cookie dough, etc. Hint: This is a spectacular gift to give at a December wedding, to your kid’s teacher, or for some friends who are splitting rent. You can see how versatile the Christmas Eve Box really is. What you put in it depends upon the crowd you are hosting. Newlywed couple? First Christmas traditions like hot cocoa, ornaments, and a movie. Roommates’ Christmas? Funny games, drinks, and matching PJs. Young family? Pajamas, hot cocoa, and a bedtime story. I realize this title carries images of obnoxious teenagers and bad pranks. So put that aside and think of it this way: We all want to spread cheer and pay it forward during the holiday season, so make sure your family actually gets involved! There are so many opportunities that most of us think, “Yes! Absolutely! I’ll sign up in five minutes!” And then we forget. Christmas Eve is the time to actually put our money where our mouth is and pay it forward. I love the idea of Ding Dong Ditch because it operates in our own social circle among people we already know. You get to be anonymous, but you know where your impact lies. Leave a basket of fresh-made cookies, or even a Christmas Eve box on someone’s doorstep, ring the doorbell, and run! You also get to experience the joy that is giving, and if you have kids–its a great time to get them in on it too. Here are some Ding Dong Ditch ideas to get started. 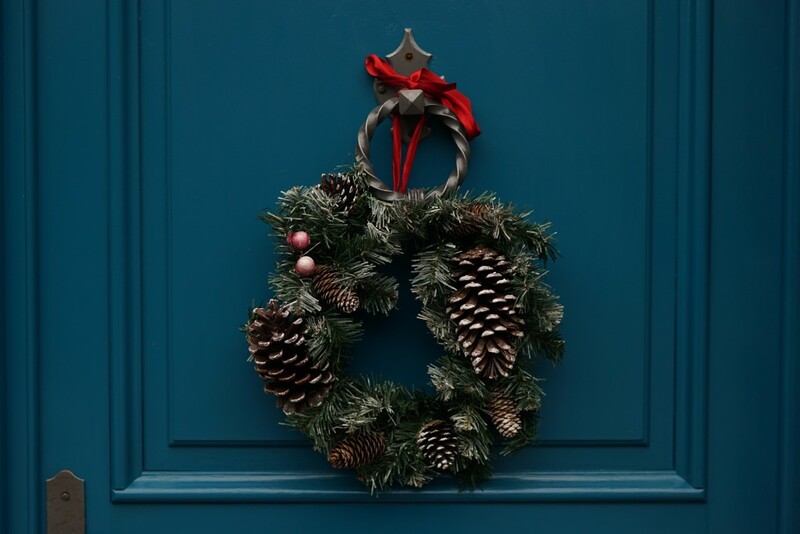 Most of us wait for the New Year to lay out our new goals, however, Christmas Eve can be a great time to decide what the new year will look like for you. My family likes to make our goals together and share them with each other. 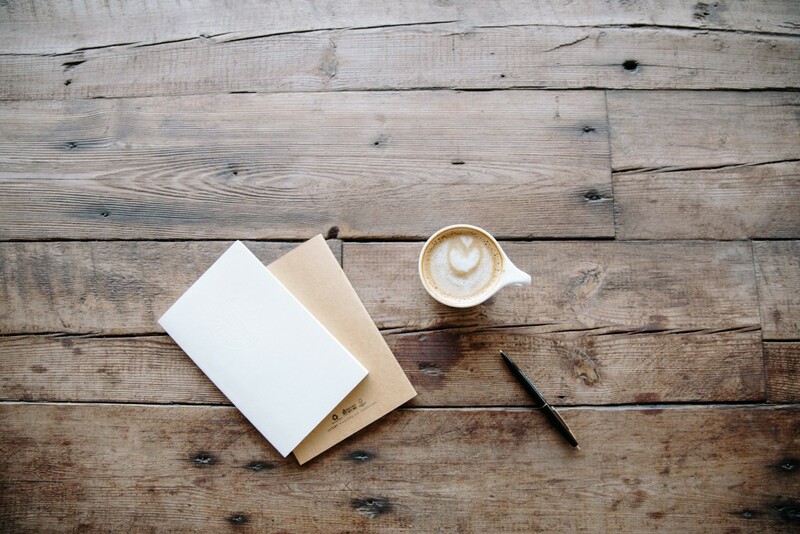 It takes some assessment, honesty, and a bit of vulnerability to share your goals. This is what we do: everyone writes their goals on a card, shares what they are, then seals it. The next year we all open our cards and recap on how we did and what we learned throughout the year. Then we make up next year’s cards. We usually pick a spiritual goal, a physical goal, and a personal goal. If that sounds like a lot, a simpler way to do it is to pick a word for the year. That word will be the theme that you hope to flesh out in the new year. For example, maybe you hope to take more risks. Your word for the year could be Brave or Risk. Or maybe you want to have more faith. Your word could be Trust or Faith. Make sense? 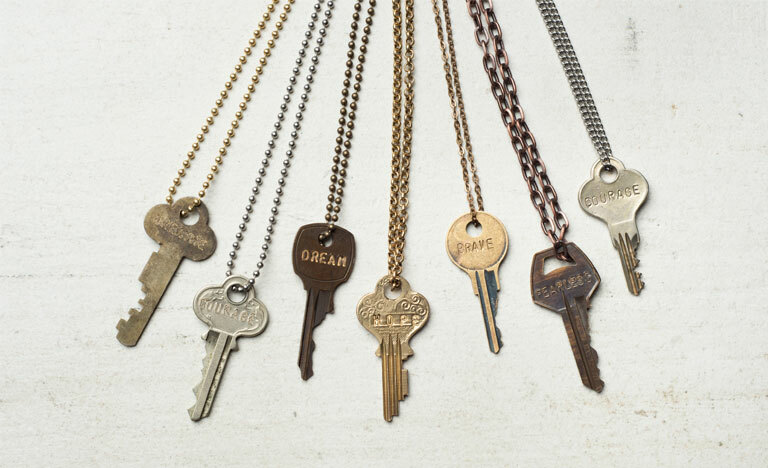 I am a big fan of the company The Giving Keys because their mission is to embrace a word, and then when you meet someone who needs that word (or theme/message/hope) you give the key to them. They are a really great brand that employs people transitioning out of homelessness, so you know your money is going to a good place. For some, the holidays are a painful reminder of the ones we have lost. It can feel intrusive and even absurd to celebrate when your heart is missing a loved one. Yet, the holidays have to be observed in order to move forward and heal. Rather than pretend like everything is fine, I think the healthiest way to acknowledge grief and move forward is by taking the time to remember your lost loved ones. Visit their graveside and leave flowers or a wreath. Talk about what you miss most and exchange funny memories with your family members. Another sweet way to both remember them and celebrate Christmas Eve is to release a sky lantern in their honor. 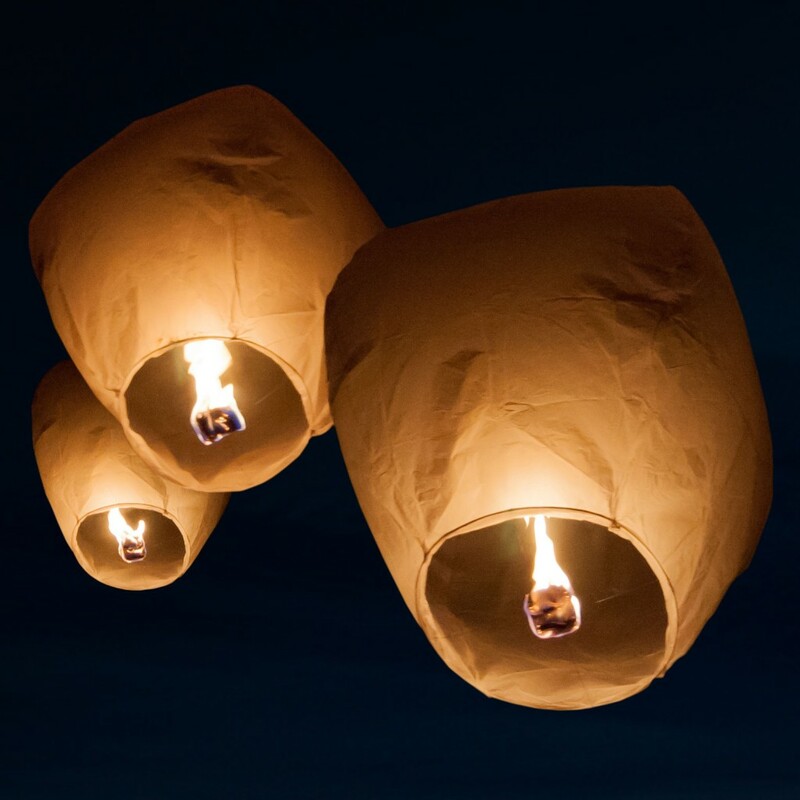 Sky lanterns can be a beautiful tribute and a great tradition to honor that family member who is no longer with you. Let’s face it, for most of us the best thing about the holidays has to be the food, right? While you might be maxed out on turkey, gingerbread, and candy, Christmas Eve can be a time where you have what my kids call special food. It’s the food that they know they will likely only get on Christmas Eve. Some of my friends with Italian heritage like to make homemade gnocchi, ravioli, and sausage for Christmas Eve. If you’re lucky enough to have Latina heritage, chances are someone is making homemade tamales. My husband and I buy a very expensive brie and eat it all by ourselves. Our kids have little smoked sausages, fancy crackers and nachos. I realize nachos don’t sound very glamorous, but I never make them at home so it’s a big deal. Needless to say, whatever special food your family likes, be sure to bring it out on Christmas Eve! I hype it up even more and let the kids drink sparkling cider from champagne flutes, and they eat off fancy little dessert dishes. We also light as many candles as possible and then they get to open one present before watching a movie. It’s traditions like these that they talk about all year long and look forward to in December. 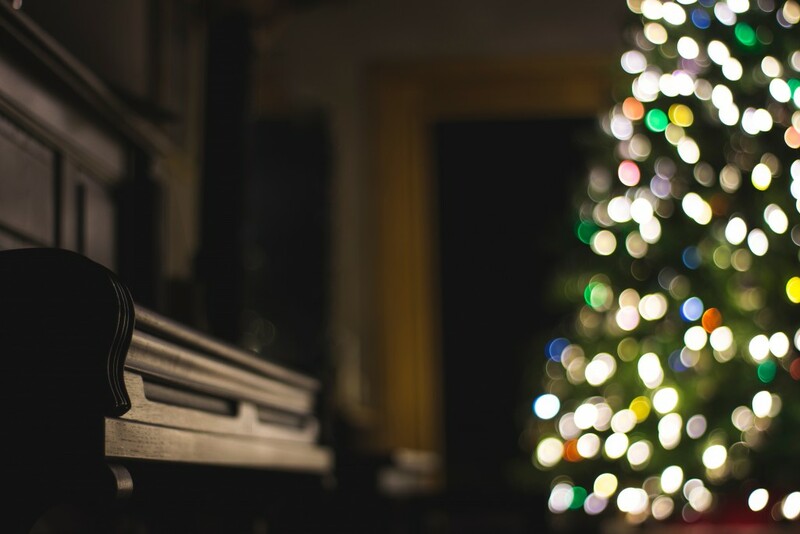 What are your favorite Christmas Eve traditions? We’d love to hear! Hopefully this post has helped you better plan your Christmas Eve. Merry Christmas, everyone!